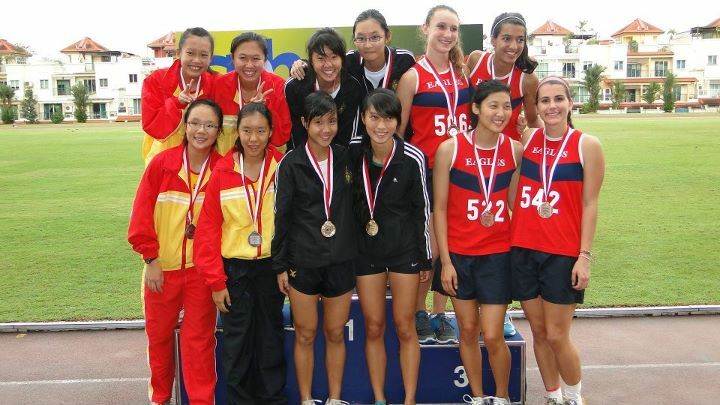 2012 SPH Relays was held over the weekend 10th to 11th March, and the two-days of relays action saw two new Championship record and Singapore Sports School once again defended their Overall Challenge Trophy title. The event saw 81 teams from various schools competing across four divisions. The first day on Saturday saw the Olympic event of 4×100 metres and 4×400 metres being held. 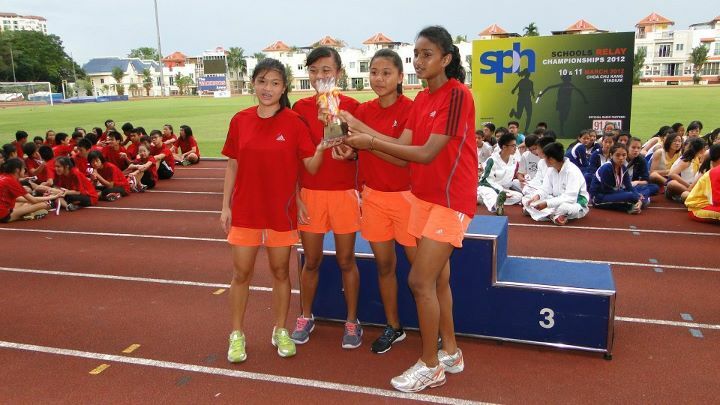 Singapore Sports School ‘C’ Division Girls broke the Championship mark in the 4×100 metres event in their heat. They clocked 50.16 seconds, smashing the old record of 51.17 seconds set by their alumnus in 2007. Another record that tumbled was the Boys 4×100 Meter Relay ‘A’ Division. The Hwa Chong Institution sprinters nearly took a second off the old mark. They lowered it from 43.65 seconds to 42.60 seconds in the final. On Day 2 of the relays, Singapore Sports School ‘C’ Division boys’ sprinters made it two out of two by sweeping their divisional events of 4×200 metres and 4×800 metres. It was a clean sweep by the SSP ‘C’ division boys. Their commanding performance helped the specialized independent school to retain their overall title despite having two disqualifications from their 4×100 metres ‘B’ division boys and their 4×200 metres ‘B’ division girls. The Nanyang Girls High School topped both the Girls ‘C’ and ‘B’ Division with 30 points each; Singapore Sports School secured full points to win the Boys ‘C’ Division title, while St. Joseph’s Institution pipped Anglo Chinese School Independent for the Boys ‘B’ Division title by a point. 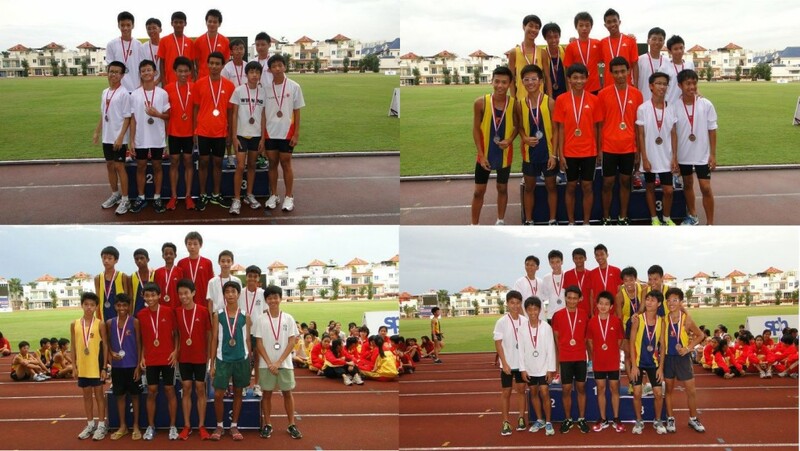 Both school had two gold but ACSI lost out when their 4×100 metres performance fared worse than SJI. As for the Girls ‘A’ Division, Raffles Institution gave Hwa Chong Institution a run for their money. The RI girls gave their school a glimmer of hope of snatching the title from HCI when they won the 4×400 metres event, and hoped they finish ahead of them in the 4×800 metres. But it was not to be as HCI showed why they’re a dominant force when it comes to distance running. The HCI girls finished nearly a minute ahead of the RI team, their times 10:41.69min to 11:34.36min. The Boys ‘A’ Division was one of the closely fought category as five points separated the top four teams. But at the end of the 2-day Championship, Raffles Institution emerged champion with two gold and two bronze. The Tay Cheng Khoon Memorial Trophy which was named after the Straits Times sports editor was awarded to C’ Division Girls; 4x100m Relay. Their record breaking performance improved the old mark by some 1.01 seconds.